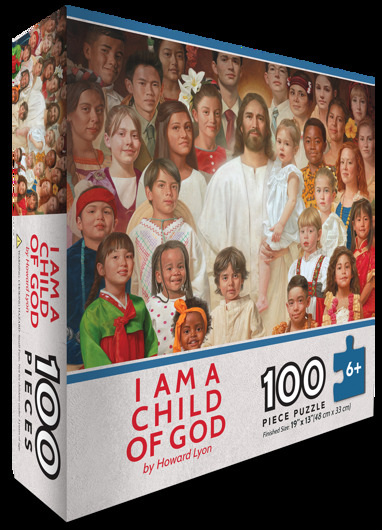 Romans 8: 16The Spirit itself beareth witness with our spirit, that we are the children of God**** Among the greatest treasures of knowledge that we have been given is this: we are all the children of God. This truth carries with it great blessings. It should guide us in how we treat those around us and in how we view ourselves. Each of God’s children are of great worth with immeasurable potential. 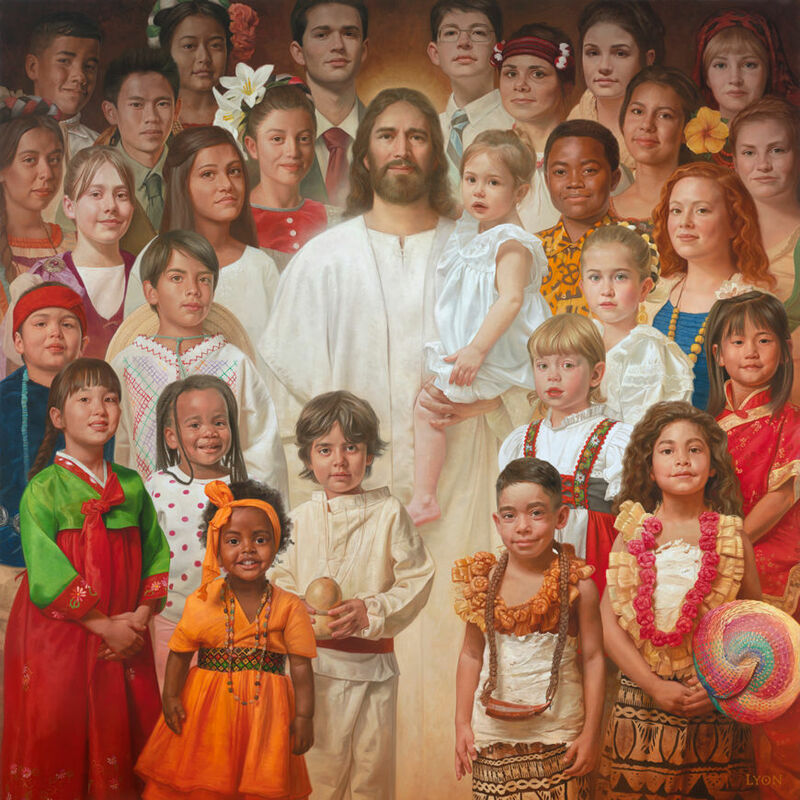 In this painting, we see children from many different cultures and backgrounds. They stand with Christ, bearing witness with Him that they are children of God. All of the kids look directly at the viewer, confident in the joy they feel in the presence of their Savior. When we strive to see others as God would see us, our hearts are softened, our minds are opened, and the Spirit comes to dwell with us, bringing peace and joy.